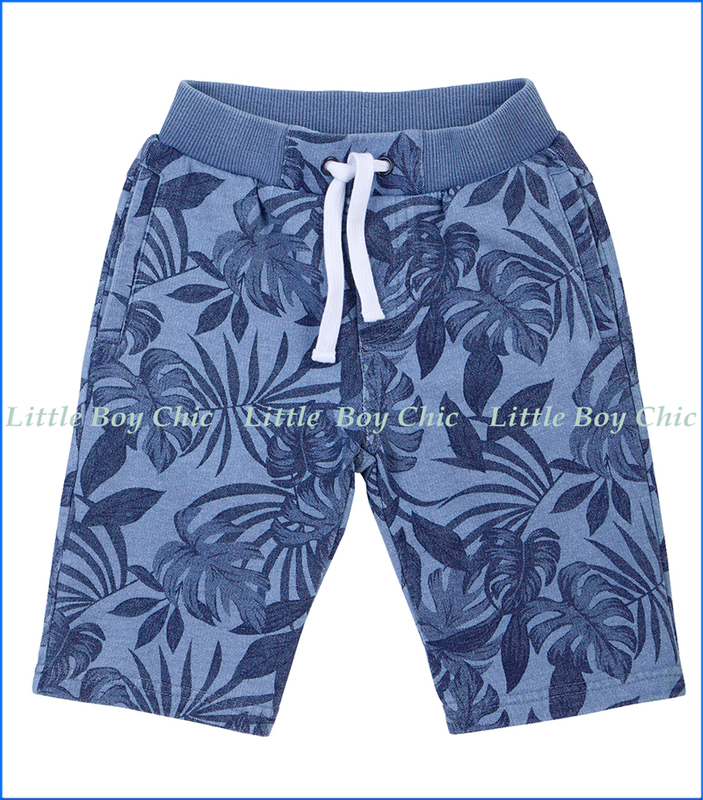 These denim terry shorts in all-over floral print by Petit Lem are a wardrobe staple for the summer months. Butter soft cotton terry, they'll want to live in these this season. Features a convenient side seam pocket. Ribbed, elastic waistline with drawstring.